Akonza Athletics Fitness Power Rack – Worth Your Money? Well now, I would like to point out, that this is the first time I’m reviewing a piece of fitness equipment by the fitness brand Akonza. 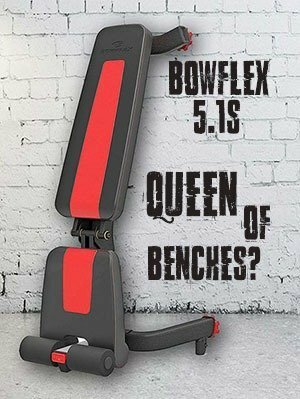 They make all kinds of fitness equipment, from power racks to treadmills to benches to recumbent exercise bikes. Akonza has been on the market for quite some time now and since discovering Akonza athletics power rack, I’d like to dwell deeper into this brand. But since I’m reviewing one of their power racks, let’s focus on that. Akonza Power Rack – What’s the Fuss? Akonza athletics fitness power rack comes with lot of cool features. The entire rack is made of steel, with 4 storage pegs, each of 8″ length. 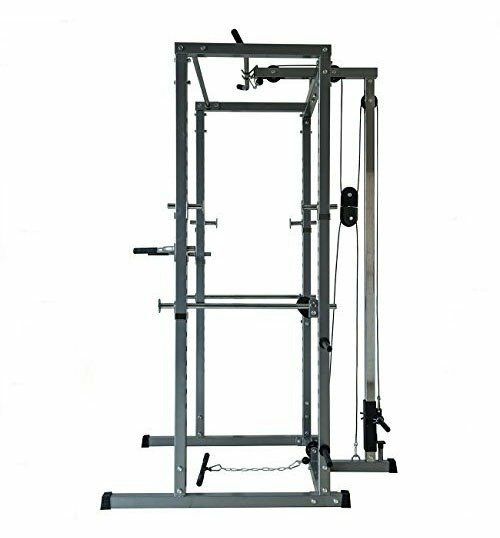 The rack also offers 2 squat safety bars and with the support range up to 68 inches. Manufacturer states that the max weight of lat pull bar is 250 lbs (113.3 kg). The max weight of each bar holder is 500 lbs (226.6 kg). The max weight capacity is set to 700 lbs (317.5 kg). That’s all she wrote in regard to features. Since I do not own the rack personally, I had to rely on my friend’s fact that it took him and his body around 2 hours to put the rack together. However, he recommends to have at least two people to put it together. From the first look (and try) the power rack seems pretty sturdy, although we are not talking about heavy-duty steel. I weight only 155 lbs, so I loaded up the rack with 170 lbs and it felt perfectly safe. When my friend (220 lbs) used it and loaded up 390 lbs of weight, it felt sturdy and safe as well. The safety bars of the power rack look and feel solid as well and I have no doubt they can hold the advertised 500 lbs. One thing to note is that by default, the weight-plate holders are meant for Standard weights, although the Olympic ones seem to fit just fine as well. Also, the plate holders do not have any ‘lock’ system, which is present among several power racks, but personally, I don’t find this to be a con. 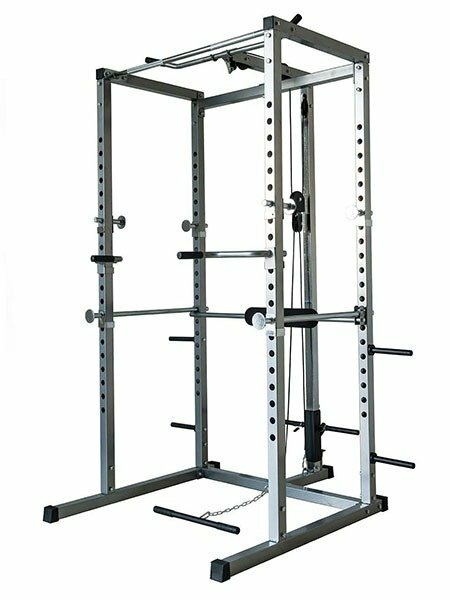 Akonza power rack offers standard and curved chin up bar. The chin up bar is of great length and also feels perfectly sturdy, although it would be really weird if it rocketed under my weight, right? Even after trying a few muscle ups, the power rack did not move at all. Another good thing is that the power rack actually comes with dip handles, which are comfortable on palms and feel sturdy. Next came the lat pull-down addition. 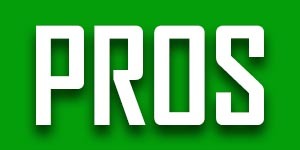 The movement of low pulley is perfectly smooth – which is a great plus. My friend says it would not be a big deal even if it wasn’t that smooth, but I have to disagree here. I always feel awkward when using a pulley that keeps stuttering. Also, one thing needs to be kept in mind. Since there is the pull-down with the cable, you can’t comfortably squat of the side facing the pull-down, because there is not enough space. For me and my friend, the rack is reasonably wide, but I can imagine a bulkier guy may have problems with a wider bench. Something to look out for. 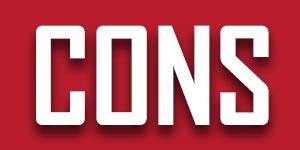 While personally I did not find any particular cons that would bother me, I can imagine other people might have. Overall, this is one good rack for a home gym. The lat pull-down is great and its actions are smooth. One thing to note is the width of the rack. If you are bulkier you have to check if the squat cage will be comfortable for you.